Forbes.com claims that the Chinese Contemporary Art market was a warning sign for the conduct of the entire Chinese investment economy. In the contemporary art market, as Forbes detailed a year ago, China’s pay-for-play culture was a perfect match for the self-dealing ethos of the art world. Top Chinese artists were mass-producing paintings in almost assembly-line fashion, selling them directly out of their studios in unknown quantities for up to hundreds of thousands of dollars apiece. Auction houses were working with lesser-known artists, galleries and dealers to bid up their works and set a good public price for private sales. Artists routinely paid critics for praise and museums for exhibitions to build up their brands. Want to get prime show space at a top national museum? Artistic merit is nice, but money talks. Want the cover of an art magazine, or a lengthy article inside? That is all for sale–and still is, but presumably at a deep discount now. 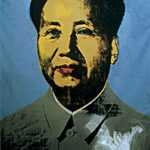 Chinese Art: Dead or Alive?